Copyright law, as conventionally understood, serves the public interest by regulating the production and dissemination of works of authorship, though it recognizes that the requirements of the public interest are in tension. Incentives for creation must be provided, but protections granted authors must not prevent the fruits of creativity and knowledge from spreading. Copyright law, therefore, should balance the needs of creators and users—or so the theory goes. 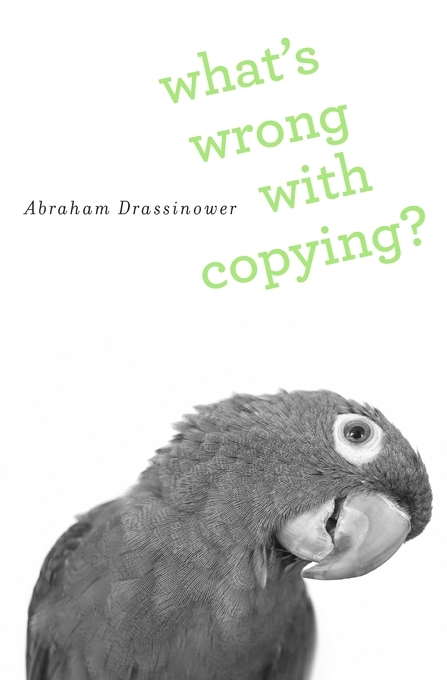 Challenging this widely accepted view, What’s Wrong with Copying? disentangles copyright theory from its focus on the economic value of an authored work as a commodity or piece of property. In his analysis of copyright doctrine, Abraham Drassinower frames an author’s work as a communicative act and asserts that copyright infringement is best understood as an unauthorized appropriation of another person’s speech. According to this interpretation, copyright doctrine does not guarantee an author’s absolute rights over a work but only such rights as are consistent with both the nature of the work as speech and with the structure of the dialogue in which it participates. The rights protecting works of authorship are confined to communicative uses of the work and to uses consistent with the communicative rights of others—for example, unauthorized reproduction of a work is lawful when responding to the work requires its reproduction. What’s Wrong with Copying? offers a new way to interpret and criticize existing copyright law and to think about the relation between copyright and digital technology as well as broader juridical, social, and cultural concerns.